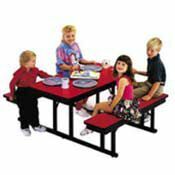 Make everyone’s favorite class even better with colorful lunchroom tables and cool cluster tables for the big kids. 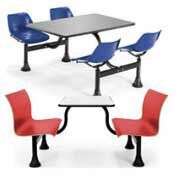 Roll your folding cafeteria tables and benches to the side when you need a location for meetings and presentations. 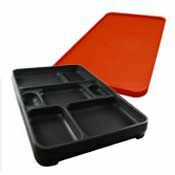 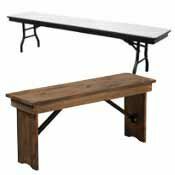 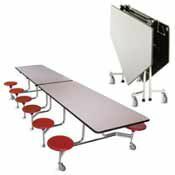 Cafeteria Bench Tables, Cafeteria Folding Tables, Cluster Table & Chairs, Cafeteria Benches, Food Trays and Tray Top Receptacles.